Introduction of the Predictive Touch Technology – Could the Rumors on the New iPhone Stylus be True? You are here: GeekSays Technology News » Apple » iPhone News » Introduction of the Predictive Touch Technology – Could the Rumors on the New iPhone Stylus be True? Apple has been upping its upgrades up to the eleven with the three brand new upgrades that are all based on multi-touch technologies, that that are rumored to pave way for the much anticipated (and much questioned) Apple Stylus. The stylus is supposed to come together with the 12+ inch ‘iPadPro,’ for those of us who just need something a little bit extra than our standard iPad. So, what about the new updates? Brace yourselves. The Cocoa Touch framework for iOS 9 now has predictive touch capabilities. It is exactly what it says on the tin: it assumes the way your fingers will go, thus increasing your phone handling efficiency. It now comes with the drawing engine that is bound to make all your doodles easier to draw – this just confirms further the stylus guessing referenced above. So, how does this Predictive Touch technology works? It’s similar to those graphs where you use previous data to predict the further movements of the graph; acceleration, velocity and curvature of your move are all taken into account, and the app simply finishes your move for you. This is all neat in itself; however, there is a certain amount of lag between tapping and software response. This is all too natural for any new technology, and we can safely assume that the issue will be remedied in the future. Considering how fast the technology develops, we can also safely assume that it will occur in the near future. Now, for the most part, this isn’t a big deal. Having a bit of a delay is something you definitely won’t notice when you tap for programs. However, where this problem causes most havoc is drawing apps. If you’re an illustrator, you know how precise and to the point all drawing software needs to be. The delay is enough to cause considerable headache for illustrators who draw quickly – no five minute sketches, at least as of yet. However, let us not focus exclusively on the negative; the app has too many positive qualities to be simply brushed aside. For example, the complex algorithm that predicts where your move will end as opposed to simply registering where your touch is makes for much, much smoother curves. The most current version has latency of 30 milliseconds; this is a major improvement over the initial latency of 60 milliseconds. In just a short time span, the creators managed to cut the lag in half. It is a laudable effort, a trend that we hope continues in the future. The entire iOS 9 pack was optimized, not just the lag. However, for all of us illustration enthusiasts, the lag improvement was the most important. However, this update is mostly restricted to the newest Apple devices that can actually endure all the hardware requirements for such a quick response. In the words of Jason Beaver, Senior Engineering Manager of iOS Platform Technologies – touch events are updated faster than the display! Isn’t that something? While the company has yet to announce the much-anticipated stylus, this recent development serves as the best proof yet that the accessory is being developed for the devoted iPad users who need an extra punch. Need more proof? Notes app in both iOS 9 and OS X El Capitan is improved; now you can draw squiggles and doodles with your bare fingers. It is clear that Apple is intending to draw it’s ever growing artistic fan base with their upcoming release, but the question remains: will it work? Such electronic styluses are nothing new. On the other hand, Apple is famous for turning ‘nothing new’ into ‘desired by all’ – it is still the brand you go to when you want to show you have money and/or taste for finer things in life. If it all goes well, we can expect a resurgence of a new art style – the quick, on the run, with your gadget art. Who knows – maybe in the future we could expect museums with many iPads displaying true works of art, made by the artists who barely got to sit down in their busy schedules. But all this remains wishful thinking for now. We have only to sit and see what’s next. One thing is certain: the split second Apple releases its stylus (if ever), all of its eternal competitors are bound to follow suit. 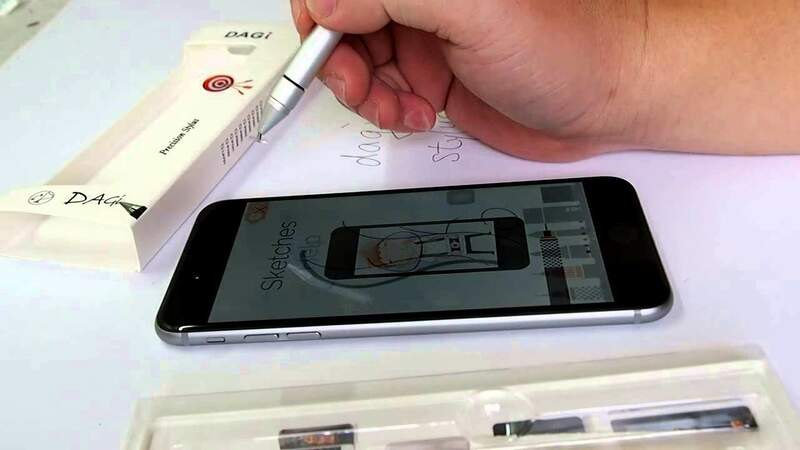 If Apple doesn’t release the stylus, the competitors would be blind not to try to release a similar device of their own, in order to make use of the Apple users’ expectations. Now, this wouldn’t be an article written by me if I wouldn’t bash Apple a bit. While I love the company and many of the products that they make, I can’t stress enough on the idea that this isn’t innovation. Predictive touch and writing has been around for years on other operating system (yes, the good-ol’ Android). However, I am proud to finally see that Apple is considering to do this and that their operating system is beginning to step up its game, and getting closer to the amount of features that are currently being offered by Android. As you can already see, further reports about the upcoming iPhone are appearing and this is great news, considering the fact that the device will be released in a couple of months. Time passes quickly, doesn’t it? All in all, we can expect some interesting developments soon. In the meantime, we should enjoy the immediate benefits of the new and improved iOS 9; after all, it is all for our better user experience. Based on everything that has been outlined so far, what do you think about the latest developments? Is Apple wise for working on this project? Will the iPhone Stylus become a reality? Let us know your thoughts in the comment section below.